Are healthy fats as effective as statins in lowering cholesterol? High cholesterol is a common risk factor for heart disease. Over 31 million Americans have high cholesterol. The common treatment for this condition has been medicines known as statins. 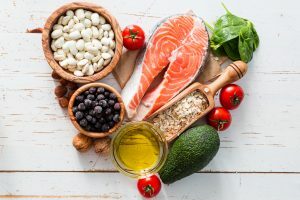 However, a recent study by the American Heart Association has found that eating foods containing healthy fats may work to lower cholesterol as well as statins. You may think if you lower cholesterol in your diet, then you can lower blood cholesterol. However, it is saturated fat intake that has an impact on your cholesterol levels. There are two main types of cholesterol: High-density lipoproteins (HDL) and Low-density lipoproteins (LDL). The HDL, or “good” cholesterol, carries LDL, the “bad” cholesterol away from the heart to the liver to be broken down and used by the body for energy. Also, LDL can build up in the arteries causing plaques. This in turn can increase risk of high blood pressure, heart disease, and stroke. Statins work to lower cholesterol by preventing cholesterol from forming in the liver. Therefore, this reduces the amount of cholesterol that circulates in the blood. Furthermore, statins also work to increase HDL cholesterol in the blood. Recent studies have shown that consuming healthy fats in the diet can provide these same benefits. 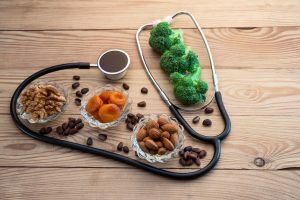 The American Heart Association has found that replacing saturated fats with healthier plant-based fats in the diet can be just as effective in lowering cholesterol as statin drugs. These healthy fats, or unsaturated fats, help improve cholesterol. Fatty fish like salmon or trout, nuts, seeds, avocado, olives, and olive oil contain such healthy fats. In particular, clinical trials have found that replacing saturated fats in the diet with healthier polyunsaturated fats can reduce cholesterol by 30-percent. It is important to note that this reduction is similar to the effect of statins on cholesterol levels. 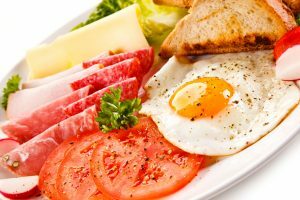 Therefore, in order to lower cholesterol, swap out saturated fat foods such as fried foods, fatty meats, and processed food products with healthier fat options. This small swap can make a world of difference in your heart health. In addition to diet changes, you can add in a supplement such as Vita Sciences’ Alestra. Alestra contains heart-healthy compounds such as niacin, plant sterols, and garlic. These compounds have been found to support healthy cholesterol levels and promote heart health. However, be sure to ask your healthcare provider before adding any new supplements to your routine. Heart disease risk increases as you age. Vessels can become more narrow and damaged, while the heart can become thickened and weak. However, a recent study has found that with a little hard work, keeping a young heart into your golden years is possible. 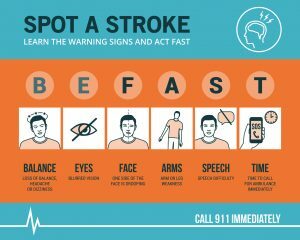 Furthermore, those individuals who had healthy blood vessels had more than a 50-percent lower risk of getting heart disease or stroke. Subjects were thought to have healthy blood vessels if they had normal blood pressure and supple blood vessels as measured by pulse-wave velocity. Nearly 20-percent of those who had healthy blood vessels were in the younger end of the group, while only 1-percent were 70 years of age or older. Therefore, it is easy to see that maintaining healthy blood vessels into older age is not easy, but not impossible. Eat a low sodium and high fiber diet. Consume mostly fresh or frozen fruits and vegetables for more fiber. In addition, reduce intake of processed foods such as deli meats, boxed goods, packaged snacks, and canned soups. Also, limit fried foods, whole fat dairy products, and fatty meats in your diet. Instead, replace such unhealthy fats with healthier fats such as plant-based oils, avocado, fatty fish such as salmon, nuts, and seeds. Stay active for most days of the week. It is thought that moderate exercise for 30 minutes, 5 days a week can lower risk of getting heart disease or having a stroke. Moderate exercise does not mean boot camp or running. However, simply walking, dancing, gardening, or riding a bike can count as moderate exercise. Take supplements such as Alestra by Vita Sciences. Alestra contains niacin, plant sterols, & garlic that has been found to support healthy cholesterol levels. Also, niacin and plant sterols are vegan-friendly for those who are following a plant-based diet.